Outdoor play just got a lot more fun! Now young machine enthusiasts can experience the “feel of real” with Toy State’s Cat Tough Tracks, the perfect addition to any fun-filled day. Kids will have a blast as they dig and play with these free-wheeling construction trucks. 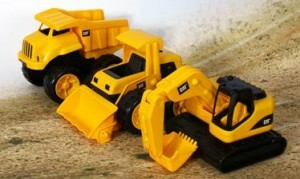 We received the 3 pack which includes the Cat Dump Truck, Cat Wheel Loader & Cat Excavator. This is perfect for ages 2+ and my friend’s young son had so much fun playing with this set. It is also available in a 2 pk. for $13.99. The 3 pk. retails for $21.99. Guaranteed to provide hours of playtime fun! Cat Tough Tracks is available now at Toys R Us, Wal-Mart, Kmart, Target and Amazon.com. Self Disclosure: I received this product for review but any opinions are my own. Photo Credit: Toy State. Universal Home Entertainment’s THIS IS 40 Giveaway! From the director of Knocked Up and The 40-Year-Old Virgin comes an unfiltered, comedic look inside the life of an American family. After years of marriage, Pete (Paul Rudd) and Debbie (Leslie Mann) are approaching a milestone meltdown. As they try to balance romance, careers, parents and children in their own hilarious ways, they must also figure out how to enjoy the rest of their lives. Featuring Melissa McCarthy, Jason Segel, Megan Fox, John Lithgow and Albert Brooks, This is 40 is a candid and heartwarming comedy about the challenges and rewards of marriage and parenthood in the modern age. It’s a hilarious, unfiltered, comedic look inside the life of an American family. The movie is a candid and heartwarming comedy about the challenges and rewards of marriage and parenthood in the modern age. Just released on March 22, 2013 on Blu-Ray+DVD+Digital Copy Combo Pack. Would you like to win this fun Blu-Ray+DVD+Digital Copy Combo Pack? You must be a subscriber to enter! Next, leave a comment below telling us what you like about turning 40 or what you don’t like. If you aren’t 40 yet just simply let us know what you are or aren’t looking forward to! Deadline to enter is April 4th, 2013 at midnight. One winner will randomly be selected from all entries. Cosmetic Executive Women (CEW) Beauty Awards Product Demo showcases the latest and greatest beauty innovations. Each year, the Cosmetic Executive Women (CEW) Beauty Awards Product Demo showcases the latest and greatest beauty innovations. With almost 2,300 beauty insiders combing through 625 products from more than 300 brands, it’s truly the place to see beauty at its best. o Lip Hybrids: Lip products that have it all – long-lasting color, moisture and a light-weight feel. o Skin Volumizers: These collagen-building formulas reduce the look of deep lines and fine wrinkles – they’re like the fountain of youth in a jar. o Bold Brows: Fuller, bushier brows are back in vogue and new gels and serums make it easy to style them. o Gel Nails: Both mass and prestige brands now offer consumers a multitude of styles and colors to achieve long-wear, chip-resistant nail color at home. o Spot On Treatments: Brands have been creating a myriad of products that immediately target dark spots and prevent future spots from developing. o Bright Eyes: Serums that lighten and brighten sensitive skin under the eyes took center stage this year, with unique applicators that cool skin on the spot. To learn about 2013 Beauty Award entries, you can view CEW’s Viewbook. Additionally, don’t forget to visit CEW’s Facebook page and follow us on Twitter (@CEW_NY) to receive all news and updates. Cosmetic Executive Women, Inc. (CEW) is a nonprofit professional organization with more than 5,000 female and male executives in the beauty and related industries. CEW advances the professional growth and leadership development of women in the cosmetic industry through professional development and networking, industry insights, access to leaders, recognition of achievement and innovation and its philanthropic foundation. CEW’s membership is multi-generational and equally representative of entry level, mid-career level and senior level executives. CEW is based in New York City, and it also hosts events for the beauty community in Los Angeles. Additionally, CEW has associated organizations in France and the United Kingdom. The CEW Foundation supports Cancer and Careers, a resource for employees balancing work and cancer treatment. For more information, log on to cew.org. It’s looking like PEEPS this Easter! Special Easter Giveaway! We have teamed up with our friends at Peeps and Company for a special Easter Giveaway! There will be 4 winners but you have to enter quickly! You must be a subscriber to enter! 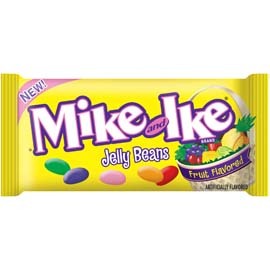 Next, leave a comment below telling us your favorite Peeps or favorite Mike & Ike candy flavor. Next, head over to the Peeps Facebook page and “like” them. But, don’t forget to like our page too! Deadline to enter is March 27th, 2013. (Only U.S. subscribers may enter this one and if you are not in California, delivery may be after Easter). 4 winners will randomly be selected from all entries and each will win a Easter Treat package with the items mentioned in this post except there will be a 3 ct. bunnies and not a 1 ct.
Easter 2013, Bethlehem, PA – PEEPS®, the beloved marshmallow confections that are celebrating their 60th anniversary, asked consumers to go online and take the PEEPS® survey! 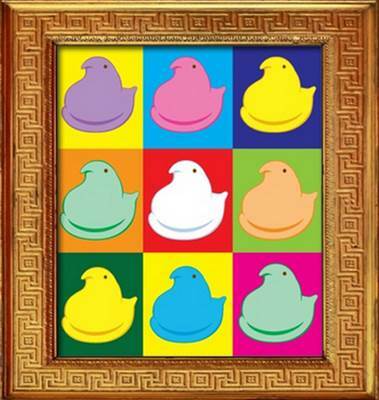 PEEPS® fans know what they like and responded enthusiastically! This question prompted the most resounding answer with 97% of consumers saying “yes”! Consumers were asked which they prefer and 65% voted for Chicks while 35% voted for Bunnies! How do you eat your PEEPS® Chicks and Bunnies? 65% of respondents eat their PEEPS® head first, 16% in tiny bites, and 13% tail first! 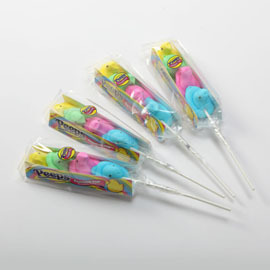 How many PEEPS® do you typically eat at once? 49% of respondents eat 1-2 PEEPS®, 37% eat 4-5 PEEPS® and a very dedicated 8% eats 6-10 PEEPS® in one sitting. When eating PEEPS®, what are your preferences? Asked to check all that apply, 78% of respondents like their PEEPS® “plain or fresh” and 38% like their PEEPS® “aged to perfection or slightly stale”. In the age-long question about which came first, the chick or the egg, consumers were asked which do you they think came first? 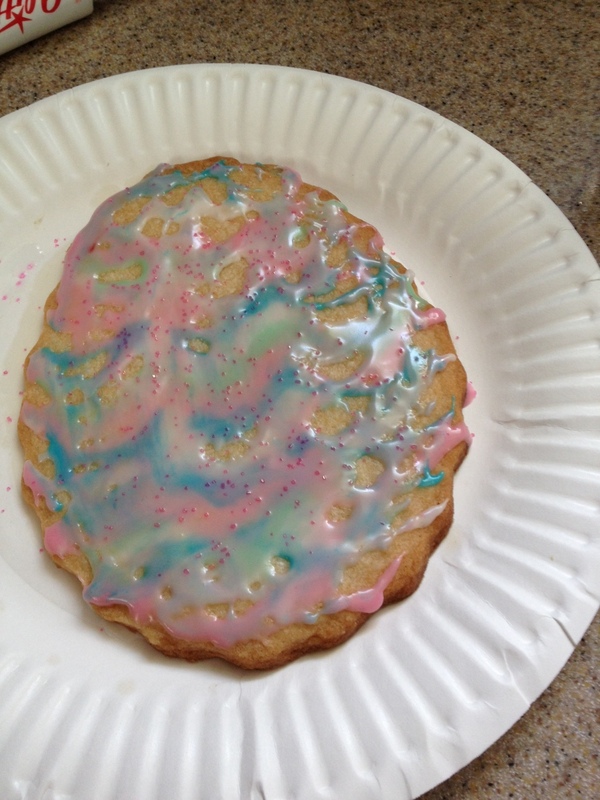 72% of respondents said the “Chick came first” and 28% voted for the “egg”! How long have you been eating PEEPS®? What is your favorite PEEPS® color? 46% eat PEEPS® on Easter but 39% eat PEEPS® “any day they can throughout the year”! There’s still time for your PEEPSONALITY™ to count. 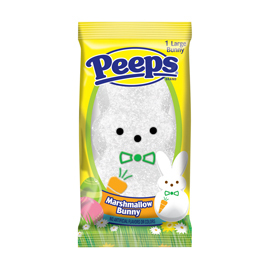 Go to www.marshmallowpeeps.com or http://www.facebook.com/PeepsBrand for the complete survey. For more results, please email justbornpr@comcast.net or call 609.279.0977. PEEPS® fans can find these treats at their favorite stores. 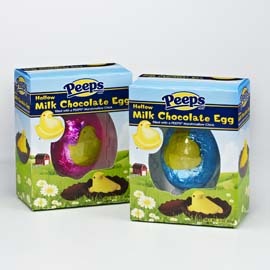 Fans can also visitwww.peepsandcompany.com where they can also find PEEPS® – themed merchandise and apparel or the newly redesigned www.marshmallowpeeps.com. This colorful and fun new site will allow fans to really connect with their PEEPS®. Fans can Express their PEEPSonality by clicking on links to: Fun with PEEPS®, PEEPS® are Talking, Cookin’ with PEEPS®, Products, Promotions and more! Just Born, Inc. is a family owned company founded in 1923 and headquartered in Bethlehem, PA, where it manufactures PEEPS®, HOT TAMALES® and MIKE AND IKE® Brand Candies. GOLDENBERG’S® PEANUT CHEWS® Brand Candies are produced in Philadelphia, PA. All Just Born candies are made in the U.S.A. Rated PG, just like the title, this film is now available at all your favorite DVD resellers on DVD and Blu-ray. 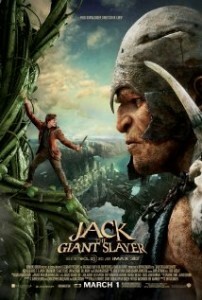 Reviewed by Brianna Hope Beaton, age 13, KIDS FIRST! Film Critic. 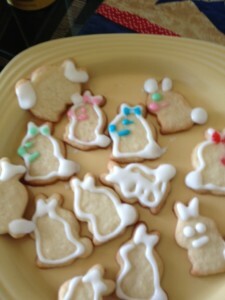 Sweet Dani B makes Easter Baking More Fun! Easter Springtime Giveaway! We featured Sweet Dani B for Valentine’s Day, and I just couldn’t resist featuring her amazing products again for Springtime and Easter! This time, I made Easter Egg and Mini Bunny Cookies with help from my son. 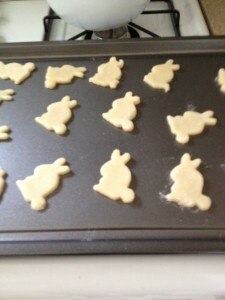 I received the cutest Mini Bunny cookie cutter and large size Egg Cookie Cutter. My son and I just had so much fun baking and decorating. 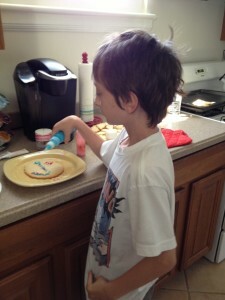 The Icing Expert Bottle Kit by Sweet Dani B is so easy to use that kids can become Cookie decorators! Now, how fun is that?! The Icing Expert Bottle Kit has been a favorite of mine because you really can decorate your sugar cookies so easily with this kit. It even comes with ‘ The best Royal Icing ‘ 4×6 Recipe Card. It also includes 1 straight handle icing “spreader”, 2″ “Thick tip” 3 oz. 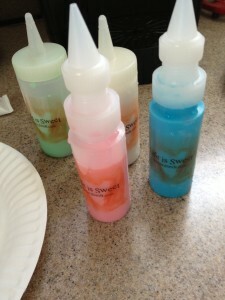 squeeze icing bottles, 2″ “Thin tip” 2 oz. mold paint icing bottles and Bottle caps are all included. It costs $20.00 plus $5.15 for shipping and handling so $25.15 per order.International orders are different prices, check out the website for more information. 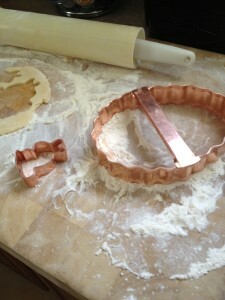 I love the cookie cutters I received! The Mini Bunny is so cute and the I love the quality. They really do seem like they will last a long time! We have teamed up with Sweet Dani B for a Springtime/Easter Giveaway! 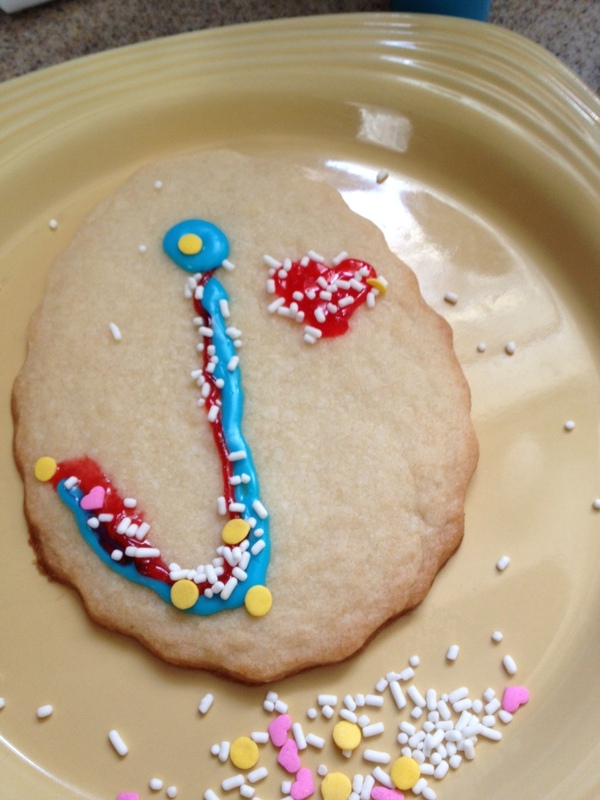 One winner will win both the Icing Expert Bottle Kit and adorable Mini cookie cutter. You must be a subscriber to enter! Next, like Sweet Dani B on Facebook! You can let her know we sent you! Then leave us a comment below telling us your favorite Springtime Character/Animal. Deadline to enter is March 28th, 2013 at midnight. One winner will randomly be selected from all entries.